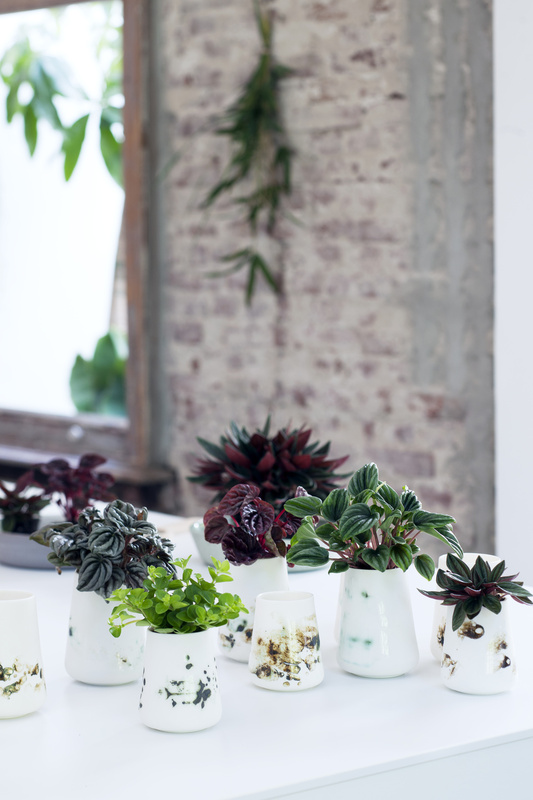 The plucky Peperomia is the Houseplant of the month for April. Decorative to look at, eye-catching as a solo performer, fabulous in the company of other Peperomias. Use our POS material - which you can download for free - to draw extra attention to these beautiful plants. You can find it using the link at the bottom of this article. Peperomia is a genus which is a member of the Piperaceae family and is related to pepper. 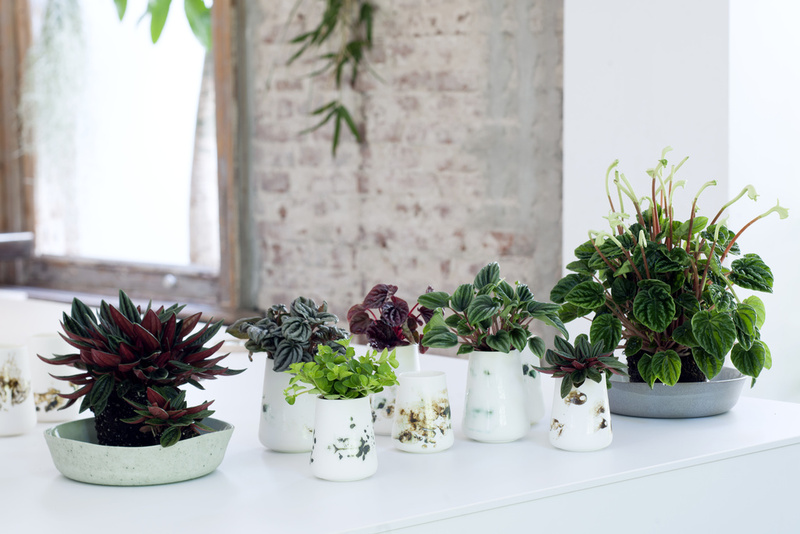 Hence the name: Peperomia means 'resembles peppers’. It’s a large group of plants comprising more than 1500 species, which mainly come from the tropical rainforests of Central and South America. They are often herbaceous plants, shrubs or climbers with fairly unspectacular flowers, which are usually spikes which resemble a tail. 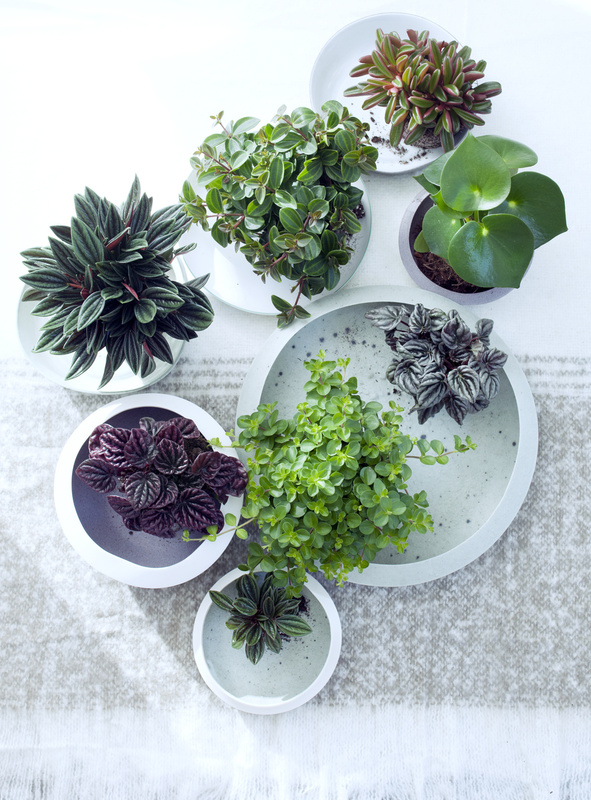 Peperomia is particularly about the decorative leaf shapes, colours and markings. The plants have semi-succulent properties, which means that they are able to store moisture in their fleshy stems or leaves to fall back on in times of need. However, they are significantly less good at storing moisture than true succulents and cactuses. 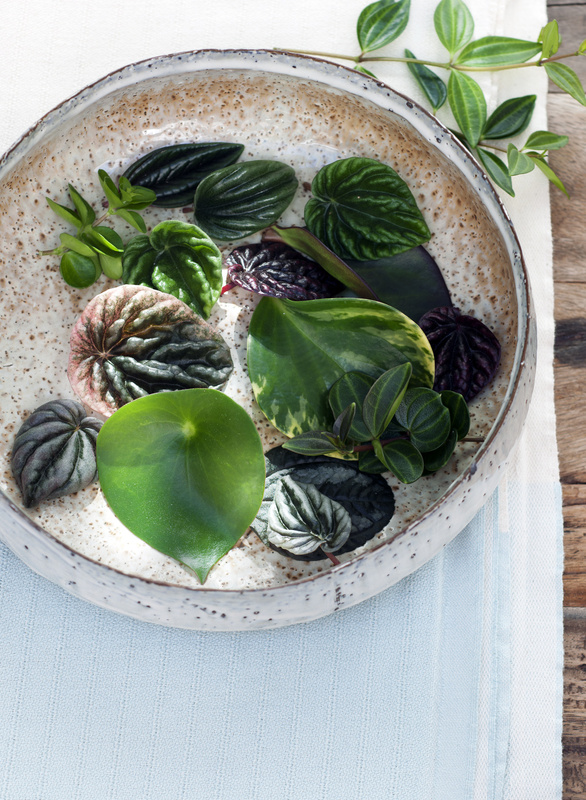 What to look for when buying Peperomia? 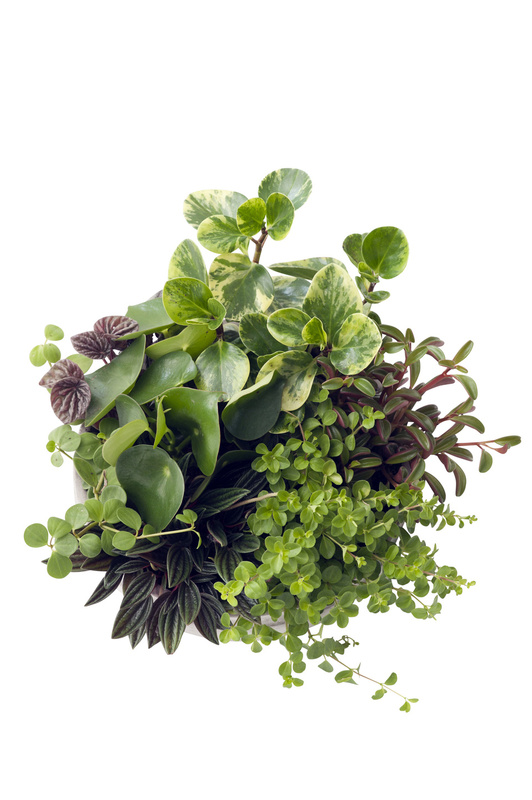 Peperomias are classified by pot size, plant shape, height and uniformity. Many species are offered in mixed trays, but trays by species are also available. When buying Peperomia it is important that the plant is free of pests and diseases, although the plants are not very prone to these. Most Peperomias are propagated from cuttings. 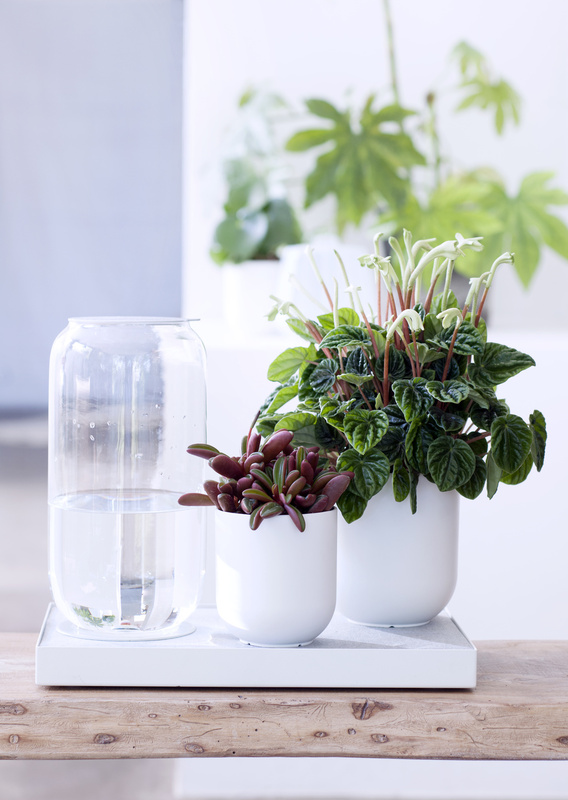 All Peperomias are sensitive to cold: the storage and transport temperature must therefore be above 12-15°C. Dark spots on the leaves are sometimes a sign of cold damage. 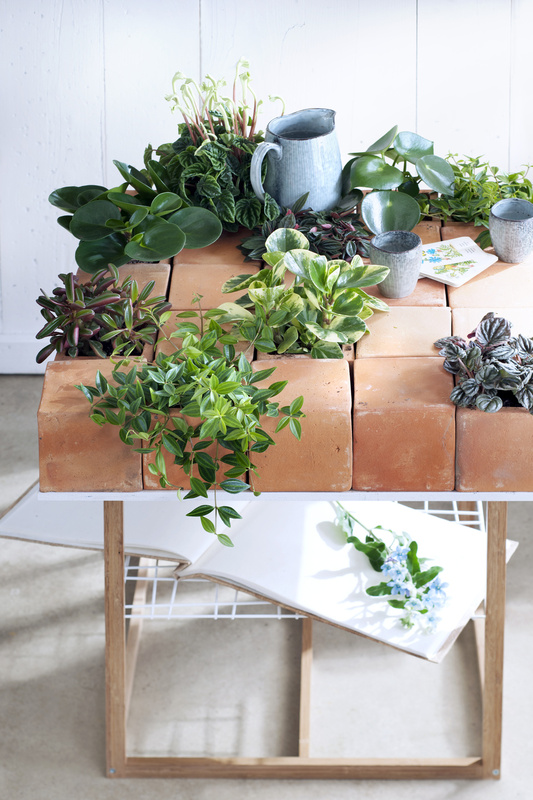 The succulent properties mean that the plants can be reasonably dry in the sales phase. Being too wet - particularly with plants in sleeves - can cause botrytis or other fungal rot, which can cause the plant to rot away from the inside. If the leaves are discoloured or withered, the plant may be infested with red spider mite. This can often happen under warm and dry conditions, so check for it. The leaves are sensitive to being sprayed with leaf shine. Peperomia has papillae on the top of the leaf. Leaf shine can block these papillae, causing the leaf to blacken. The range of Peperomias is very extensive and varied. There is a wide choice of leaf colours and shapes. The most common species is Peperomia obtusifolia, with blunt round fleshy leaves. There are various cultivars in green and variegated colours such as 'Green’ and 'Green Gold’. Other species and cultivars are: P. rotundifolia with round green leaves, P. clusiifolia with thick fleshy round leaves and P. caperata with somewhat ribbed leaves. The leaves of P. ‘Green Split’ resemble green beans, which has earned it the nickname Happy Bean. One cultivar offers eye-catching flowering: P. ‘Rosso’ ( which also colours red on the underside of the leaf) or P. ‘Lilian’, which flowers with thickened stems, as known as fasciation or clumping. Peperomias are 'easy care' and require little looking after. Choose a spot which is preferably light but not in full sun. Here too the rule is: “The more variegated the leaf, the lighter the plant’s position must be'. 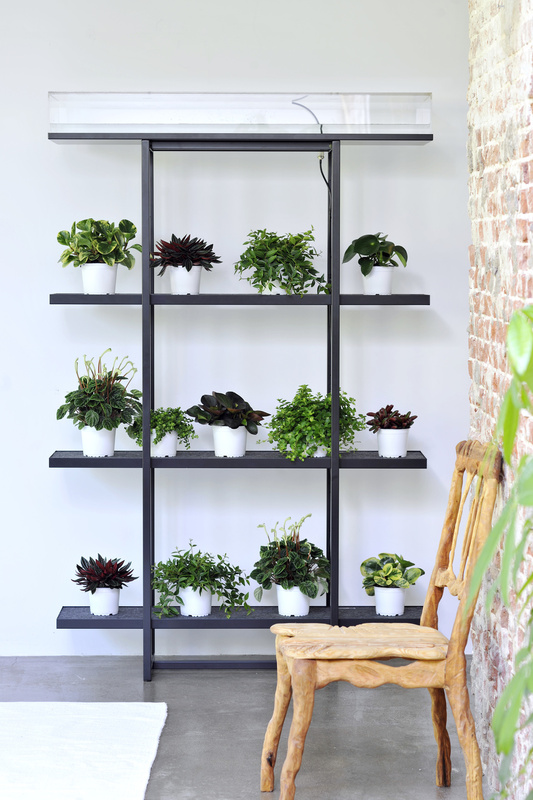 In spring and summer Peperomia can be placed both indoors and outdoors, provided that the temperature remains above 12-15°C. Avoid big fluctuations in temperature and draughts. The fleshy leaf means that the plant does not need a lot of water - once a week is sufficient. Avoid standing water. Plant food once every 4 weeks is recommended to keep the plants looking good for a long time. Peperomia can be pruned in early spring. Remove the ends of shoots so that new shoots form and the plant looks fuller. 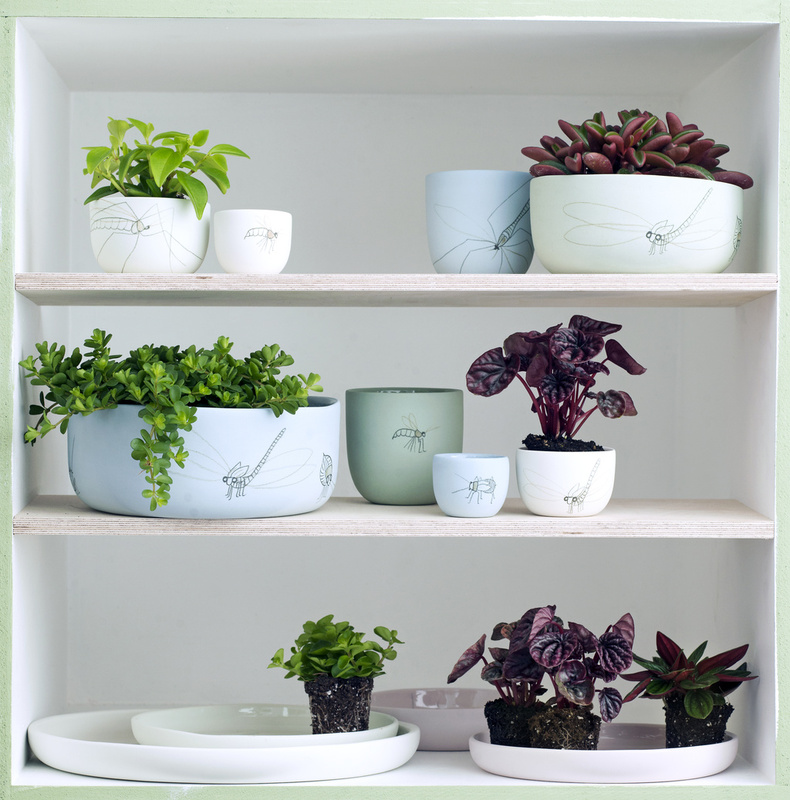 For the record, Peperomia is only suitable for decoration and not for consumption. 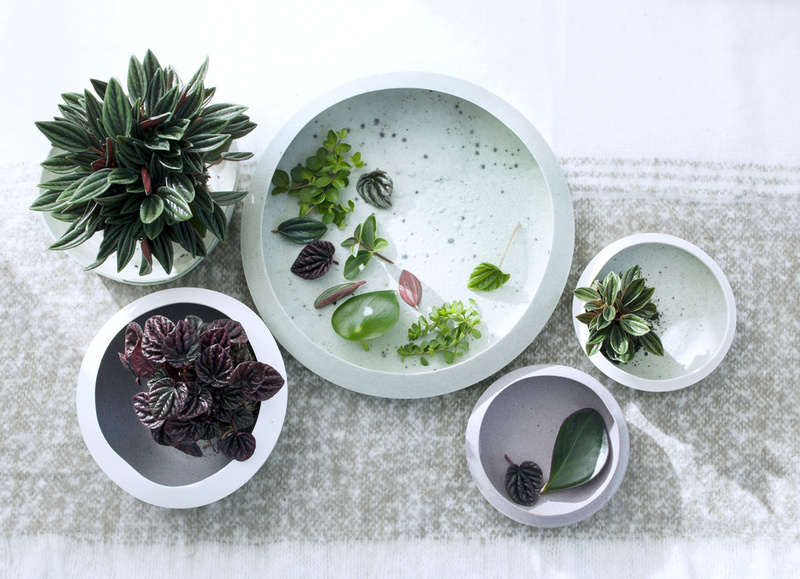 The fresh leaf colours, compact shape and ease of care mean that Peperomias sell well to students, people who don’t have green fingers or with multiple plants together in large decorative bowls for use in offices or public spaces. 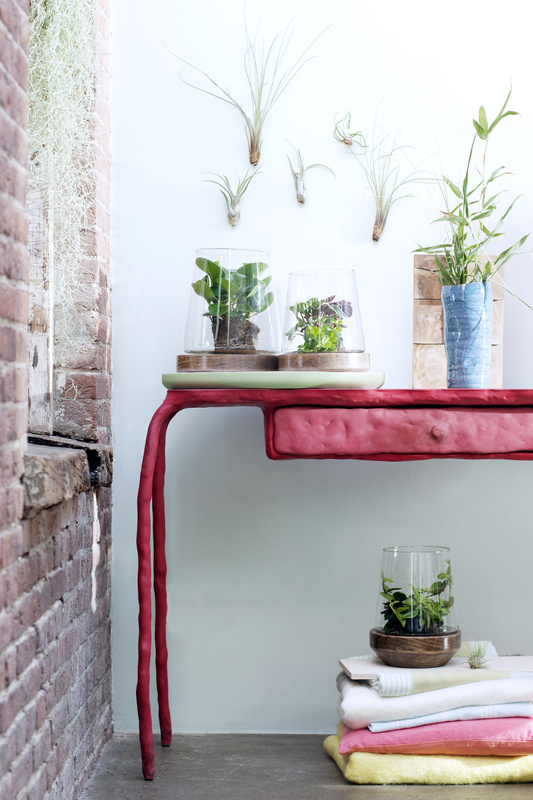 The plant can be used in both modern and traditional interiors in conjunction with various containers. A low-down positioning shows the leaves off particularly well. Some companies give Peperomia species a distinctive name. This often appeals greatly to customers, so as a florist it’s handy to use these in your communications with customers.